Coming back to windsurfing after 15 years away. Going back to learning but teaching the adult kids as well. We live south east suburbs of melb and looking for a place that is good for teaching big adults to sail. Have tried Mentone but the last few weeks but the chop for Southerlies has been rough and I worry about the offshore northerlies. Also how is Inverlock for learning? I talking young adults with no idea. They have spent a few hours up hauling getting their balance and the feel of the board on a 180 RRD easyrider. You might consider Sandringham harbour, in front of the kiosk. Note that parking fees are applicable. Except for a northerly, the water is usually very flat and shallow, so if the learner drifts away, they can usually walk back. If the harbour doesn't suit you, you might try Bon Beach (north end of carpark), Parkdale (south end of yacht club, near concrete walkway) or Hampton (near the life saving club/reclining lady statue on Beach Road) but note the restrictions for swimmer safety etc, Ideally, you need a forecast of about 10-15 knots, flat water and an out-going tide (incoming tides tend to generate waves on the sand bars, making balancing harder). If possible, approach other windsurfers and seek their advice re suitability for sailing on that day, as well as providing rigging instruction. 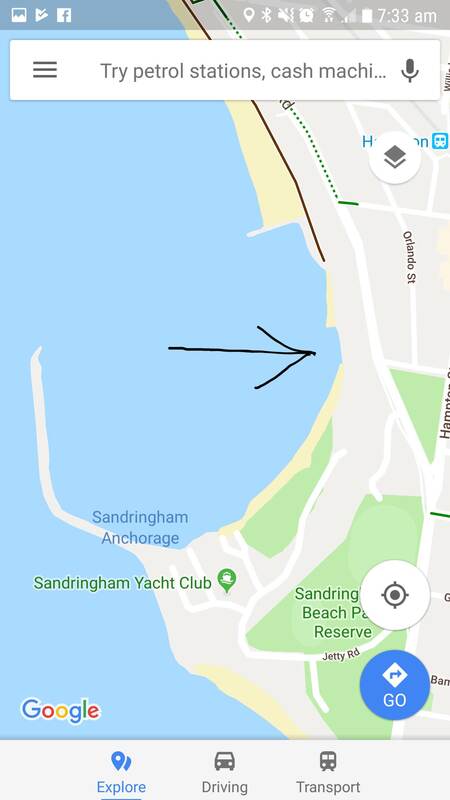 Council is creating a new beach atm in Sandringham Harbour. Sand is being pumped up and new rock groyne was added last year. Will officially open in April however I have been taking my adult son in there for ws lessons. Shallow, flat and works on northerly or southerly. Perfect spot for beginners.